This photo was taken four hours ago... the still end of the night in one of the stillest corners of Disneyland Park. Over in this back wilderness, next to the queue of the Many Adventures of Winnie the Pooh, there runs a tranquil little stream, reminiscent of the one found in the classic Winnie the Pooh tales. Rabbit's House can be seen along the bank, and the scene is one of peaceful reflectiveness. 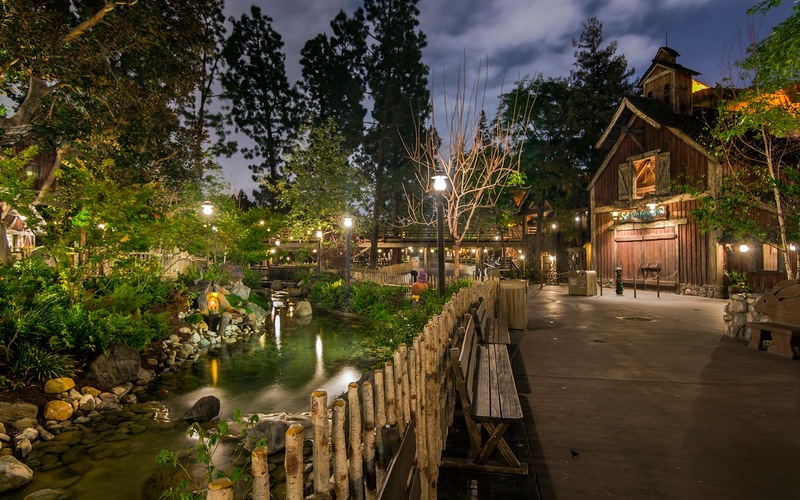 At the end of the night, after the screams of those thrill seeking Splash Mountain rides have fluttered away in the air, this corner becomes a sanctuary for serenity. A quiet night by the stream across the Many Adventures of Winnie the Pooh in Critter Country.